Leaving the house before sunrise often rewards me with an amazing show of color! Rarely am I disappointed; instead all of my senses awaken as I rejoice in total immersion in nature. 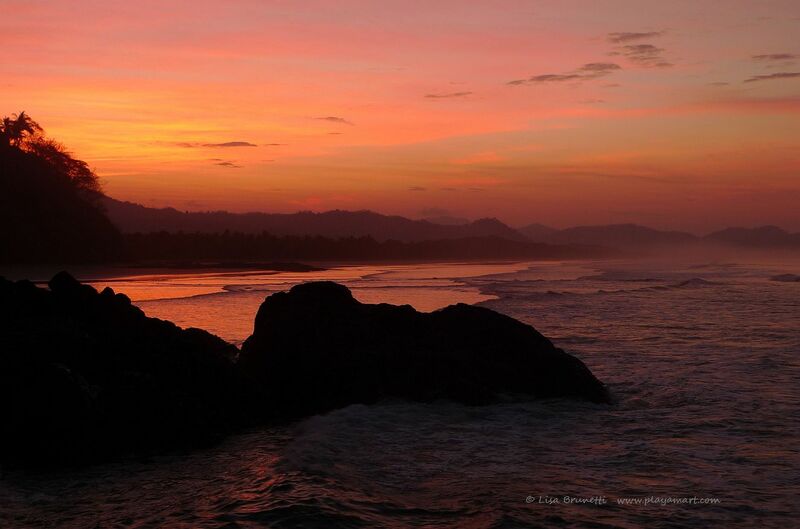 Do you agree that Playa San Miguel is surely one of the loveliest beaches in Costa Rica? I escaped from my slumber and trekked down the beach in anticipation of dawn. This post is for two challenges: Let’s Be Wild’s The Beach as well as WordPress’s Escape.